Comhghairdeas do na daltaí a ghlac páirt sna gcomórtaisí Féile na hInse 2018. Bhí gach duine ar fheabhas ! Comhghairdeas do na daltaí a ghlac pairt sna gcomórtaisí Feile na hInse 2017. 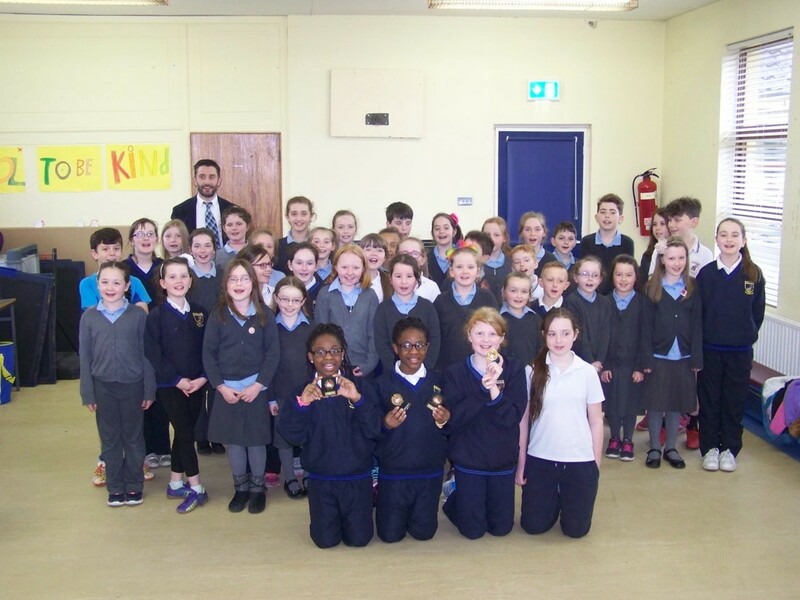 Comhghairdeas do na daltaí a ghlac pairt sna gcomórtaisí Feile na hInse 2016. Comhghairdeas do gach duine a ghlac páirt sna gcomórtaisí Féile na hInse 2015. Bhí sibh ar fheabhas ! Bíonn Féile na hÍnse ar siúl i Mí Márta gach blian in Inis i rith Seachtain na Gaeilge. 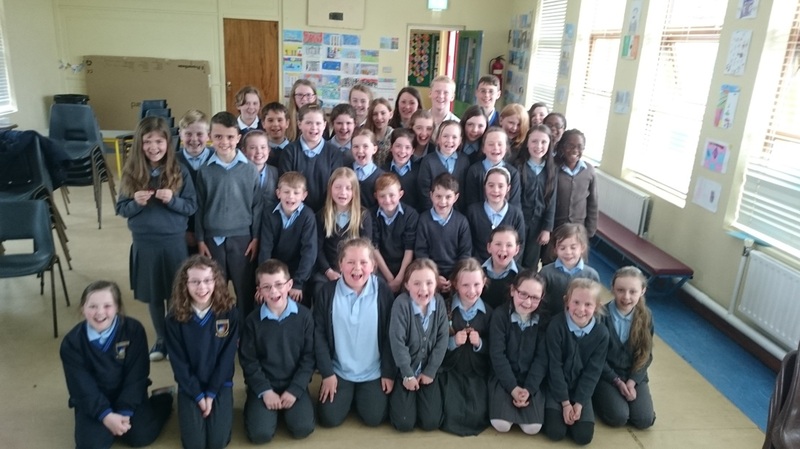 Ghlac caoga dalta on ár scoil páirt sa Chomórtais Aithriseoireachta agus Agallamh Beirte i mbliana . Bhi sceitimíní áthais ar gach duine i ndiaidh na gcomórtaisí agus rinne siad cleachtadh sár mhaith ins na ranganna agus sa bhaile. Faoi dheireadh tháinig an lá agus bhi na múinteoirí agus na tuismitheoirí sa lucht féachana an-bhrodúil as na daltaí go léir ar an ardán. Bhi siad ag aithris na dánta agus agallamh beirte éagsúla de ghlan mheabhair, gan notái d’aon saghas le féin mhuinín iontach. Fuair ochtar de na daltái duaiseanna agus dúirt gach páiste gur bhain siad a lán taitnimh as an taithí . 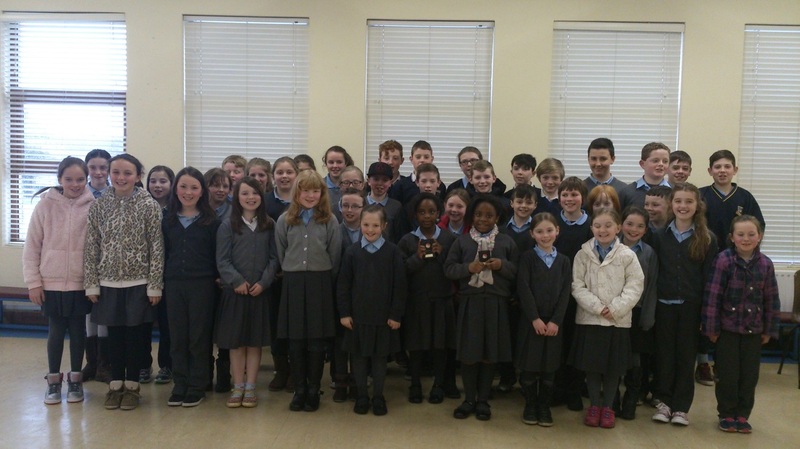 Táimid ag tnúth go mór le Féile na hInse 2015. Féile na hÍnse takes place during Seachtain Na Gaeilge in March each year in Ennis. This year fifty children from our school took part in the Poetry and Drama competitions. Everybody was excited before the competition and practiced really well in class and at home. Eventually the day of the competition arrived and the teachers and parents/guardians in the audience were really proud of the pupils on stage. They all had their poems and drama pieces off by heart and did not use any notes and were very confident. Eight of the students won prizes and all the children said that they really enjoyed the experience. We are all really looking forward to Féile na hInse 2015.